Tap: You gain 1 life. 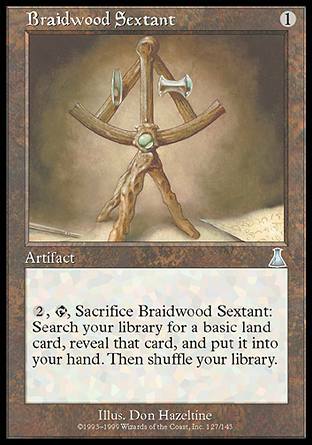 2,Tap,Sacrifice Braidwood Sextant: Search your library for a basic land card, reveal that card, and put it into your hand. Then shuffle your library. 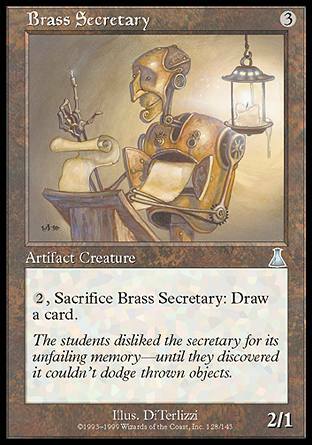 2,Sacrifice Brass Secretary: Draw a card. 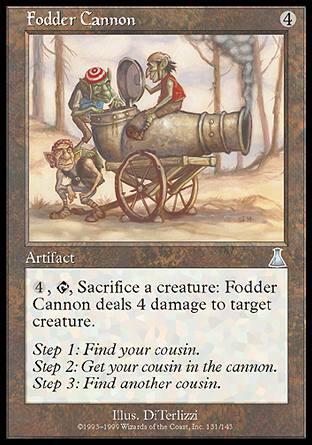 4,Tap,Sacrifice a creature: Fodder Cannon deals 4 damage to target creature. 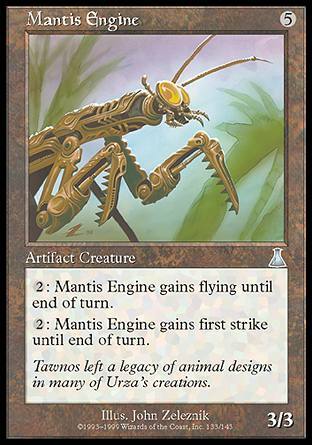 2: Mantis Engine gains flying until end of turn. 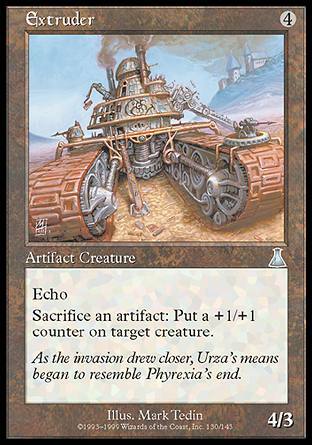 2: Mantis Engine gains first strike until end of turn. 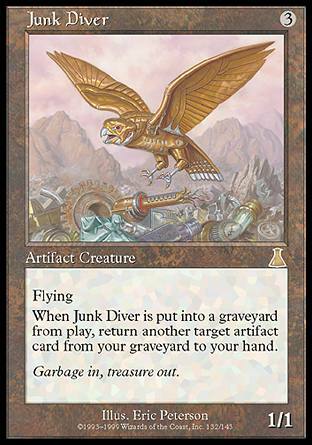 At the beginning of your upkeep, you may discard a card from your hand. 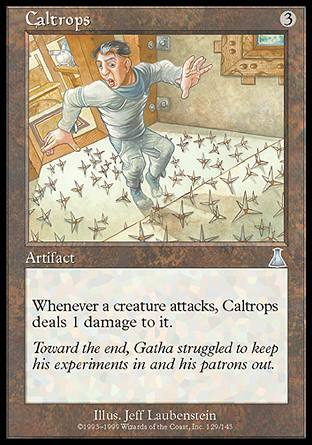 If you don't, sacrifice Masticore. 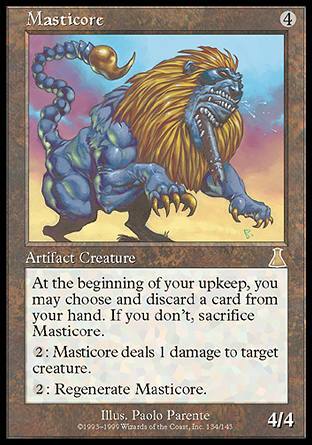 2: Masticore deals 1 damage to target creature. 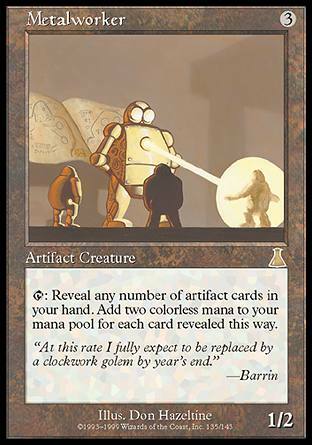 Tap: Reveal any number of artifact cards in your hand. 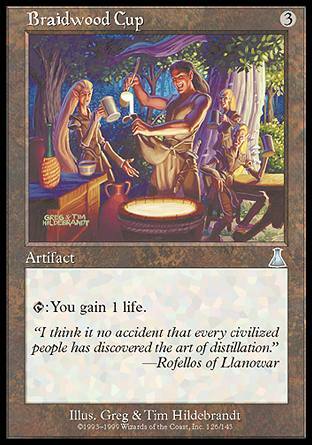 Add two colorless mana to your mana pool for each card revealed this way.